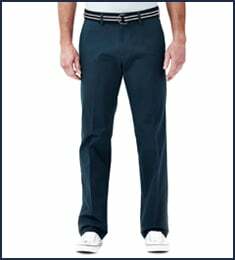 Introducing the Premium Comfort Dress Pant, Haggar’s new and improved version of America’s #1-selling dress pant style. 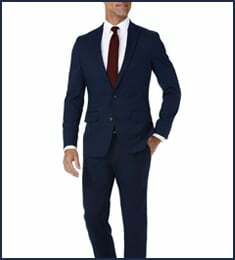 Its enhanced design features the wrinkle-free fabric you know and love, made even more comfortable with additional stretch, plus convenient shirt gripper detail that keeps sharp looks in place. No matter the occasion, our Premium Comfort Dress Pant is the perfect choice when you want to look your best. 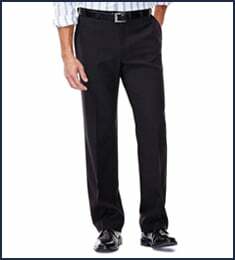 Big & Tall Premium Comfort Dress Pant is rated 4.9 out of 5 by 13. 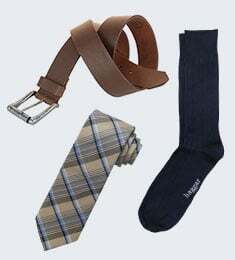 Rated 5 out of 5 by Pat L from Great dress slacks I got these for my husband about a month ago. The material is beautiful and the fit is great! I had gotten slacks before for him and they are always perfect! He loves the extensions on the waist, they are overall a 10, thank you Haggar!! Rated 5 out of 5 by do not have one from excellan features bought pn line. product arrived in good shape and fit just fine..everything was good. Rated 5 out of 5 by kellyeverett1 from Great Bought two pairs a month ago. My husband loves them - lighweight, don't need to be pressed, look & feel great. Rated 5 out of 5 by kellyeverett1 from So comfortable Bought two pairs a month ago. My husband loves them - lighweight, don't need to be pressed, look & feel great. Rated 5 out of 5 by lcdosantiago from Best pants ever! I normally don’t write reviews but this pants deserve it. As a big guy is hard finding clothes that fit you well and are controble. This past the test completely. Rated 5 out of 5 by regnw from Fits comfortably and they came hemmed They are a good fit with enough room in the waist and thighs. They come hemmed which is important in case they need to be returned. We can't return pants that are special--order hemmed. Rated 5 out of 5 by Julia from Great pants! My husband loves them and he is fussy! We will be buying more!